Earn Money On The Side: How To Set Up A Blog, Fast. If you have an idea, a credit card and 30 minutes, you can set up a professional looking blog without too much fuss. 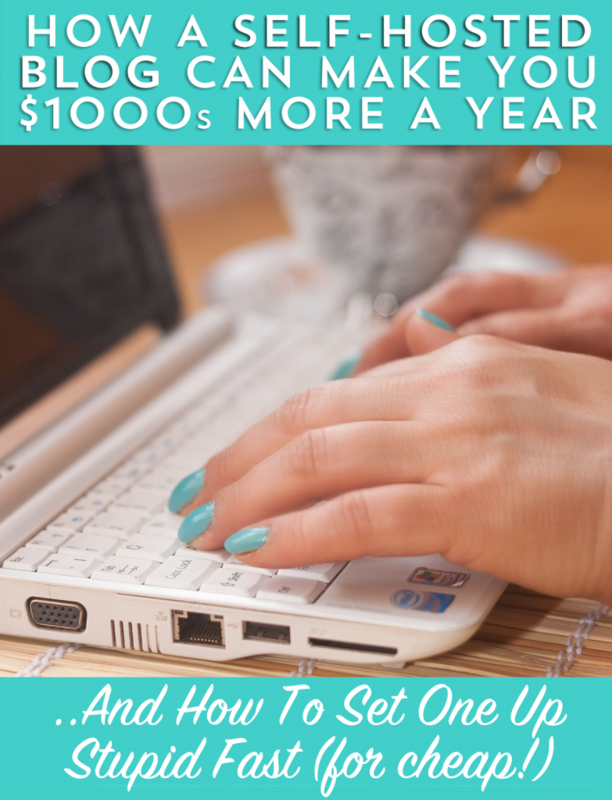 I get a lot of questions from folks about how my blog is a really income boosting side-hustle and how they can do the same, so here, I’ll help you! I’ve been blogging for 5 years and I started off with a self-hosted blog so I could get sponsored post opportunities and take sidebar ads that weren’t allowed on “free” hosted sites like Blogger or the blogname.wordpress.com (free WordPress) sites. I now make full time income from my blog and consulting gigs that I get from my blog- it’s been a lot of hard work, but a dream come true that I think every woman should have if they choose. Registering your own name on a .com or .net can cost as little as $10 a year. Hosting your .com name can be as little as $3.49 a month. So, for about $50 a year you can have a blog which can make you thousands. I kid you not. Girl, you need to start this today! I typically don’t talk about how much I make on my blog (just as I don’t publish my bank records on here either like some personal finance bloggers do), but I can tell you that blogging has changed my life. I am blessed to receive free hotel stays, free products, paid post opportunities and perks that made saving $20,000 in 2014 a reality. Yep, that’s how I did it. I hustled. You can too! Before we begin- to set up your own blog that you OWN (meaning blogger or a free site doesn’t own your content), you’ll set it up in three parts. You pick a name, then register that name as a .com/.net. To host your data, and then set up a WordPress shell to edit your data through your host, so you’ll need a hosting service. We’ll go through that in detail, but all you need to know is you need a registered domain (to claim your .com) and then, a place to house your data that people will see when they go to your .com…which is your hosting service. After those two things are set up, you’ll get your own WordPress shell to edit said data and it will all be YOURS. Really, three easy steps. Woo! What’s in a name? Know that when you’re picking a name for your blog, it can seem totally overwhelming. 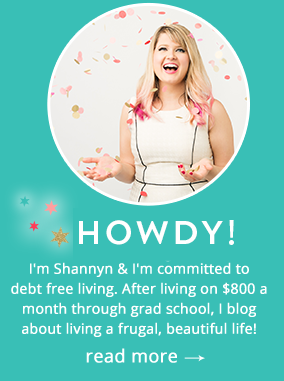 When I picked FrugalBeautiful.com it felt as scary as naming your child- it’s so permanent! But here’s my advice- first, you’ll want to make sure a .com or a .net are available. I used name.com and just typed in a bunch of things to see what was available. Frugalbeautiful.com sometimes confuses people- is it a beauty blog? Is it a couponing blog? Don’t sweat it- no name is ever perfect, but what you build will be more important, so don’t sweat being locked into a name! 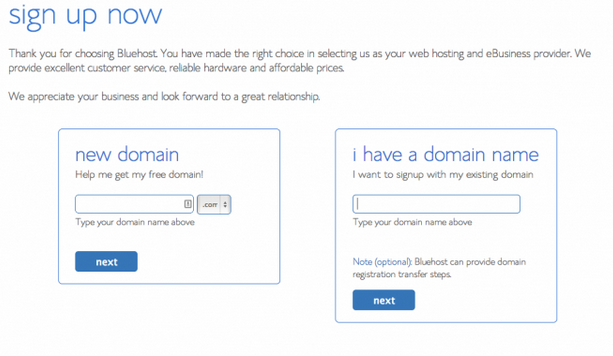 You’ll want to register your own domain at name.com or register.com (I’ve used both) OR if you decide to use Bluehost, which I detail below, you can get a free domain when you sign up for hosting. 2. 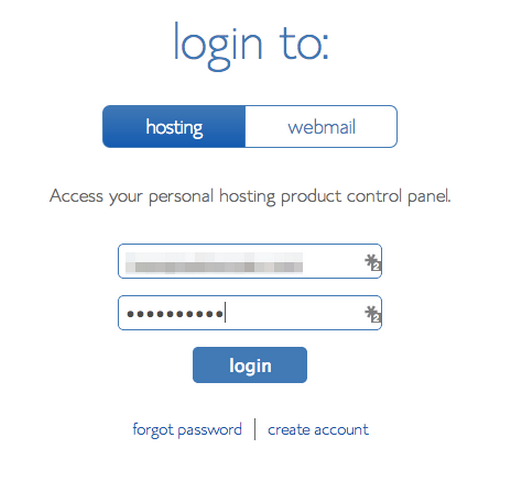 Sign Up For Hosting (a place that stores your blog’s data). I’ve used a few hosts over the years (a host is a place that houses your WordPress site and all of it’s data- it is different from your domain name), and I’m currently on BigScoots- but it’s about $50+ monthly and it’s on a dedicated server (which you don’t need in your first year or two as you grow your blog). Now that my site sees a lot more traffic (over 200k pageviews a month) and I own several websites, I pay more for hosting, but when you start out, you do not have to! Bluehost is as affordable as $3.95 a month, which is totally doable, and being hosted means you can put anything you want on your site, and it looks polished. Some people get confused at this part… they have a blogname.wordpress.com blog and think that buying a .com is enough. Yes, you can have your blogname.com redirected to your “free” blog for a small fee, but even if you own a .com, that site which gives you “free” hosting still owns your site. They have terms of service restrictions that mean you cannot have sponsored content, and there are limits to what you can build on your site in terms of layout and functionality. So, for a blog that’s truly yours, you will have to register your own .com/.net AND sign up for hosting. *NOTE: Your hosting package can set up a WordPress site FOR you, so do not worry about setting up a WordPress site until later! Setting up a blog from scratch can be super easy. Right now, if you’ve never blogged before, you’ll want to just register a domain (step 1) and sign up for hosting (step 2). Below is exactly how to do just that! 1. Head over to Bluehost. 2. Sign up for your new domain, or if you already registered a .com you’ll enter it below- so either way, you’re golden! Here is where it can get confusing- right now, you don’t need to worry about these add-ons, though a backup system is recommended. I’ve used an external hard drive with the export option, but for now, you can either add this on or just skip it. Honestly, don’t stress! After you decide, you’ll add in your credit card info and pay. 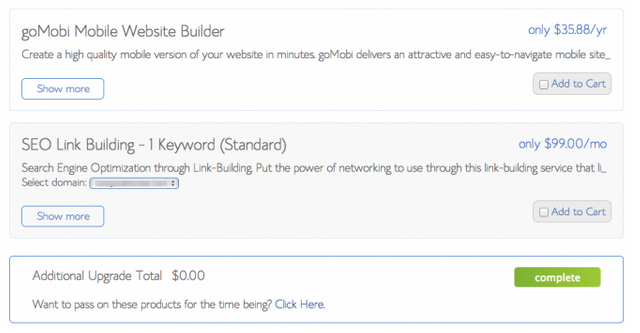 There’s also options of goMobi Mobile Website Builder, SEO link building, and all that jazz- don’t worry about it. These packages are insanely expensive, and when most of us started, we didn’t have those fancy bells and whistles so you don’t need them now either. 5. Now you will set up WordPress through Bluehost (easy peezy!) You’ll find the “Install WordPress” at the bottom of your screen on your homepage dashboard. 8. Here you’ll want to set up the name of your blog (to match your .com/.net), a username to login to WordPress with (this is separate from your Bluehost account as an FYI, after you set up WordPress, you’ll be logging in there, not through Bluehost anymore to edit your site), and a really, really strong password that’s still easy to remember (or use LastPass). I’ve been hacked- it’s not fun! I’ve been hacked before, be sure your password incorporates punctuation marks and a number or two. You can use a funny nickname for your spouse, a nickname for your dog (like shnoogerface) and add on a ? or a ! to be safe with your birthdate, house number or something easy to remember. 8. Click “Install Now,” and then go check your email. You’ll get an email from Mojo Marketplace. Save this email- it’ll include all of your WordPress login information. As stated, from now on- when you go to edit your site and upload pictures or write posts, you’ll be logging into your WordPress site, NOT Bluehost, so make sure you save this email and also bookmark the login page when you click through. Your WordPress login will look something like this: https://yourblogname.com/wp-admin/ (this will be the link you use from now on to login to WordPress). 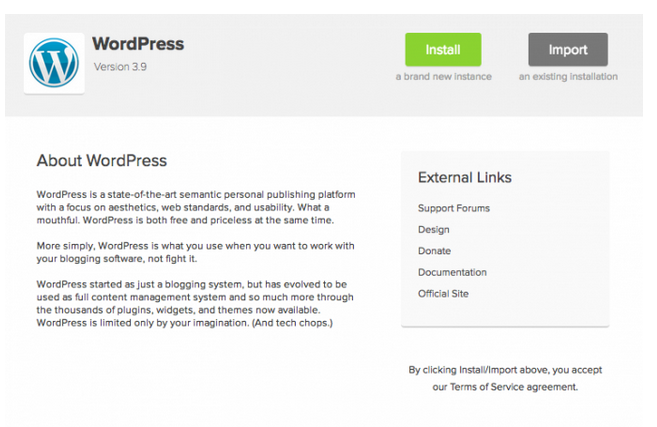 You will login using your WordPress (not bluehost!!) 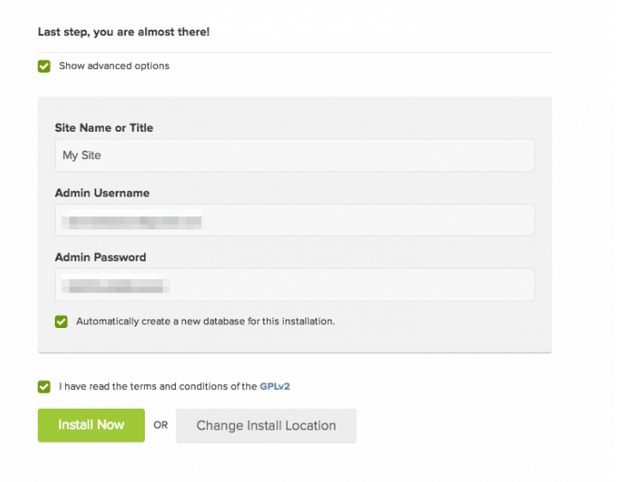 login information, and you can then start looking around the WordPress dashboard. Easy Peezy. Now You’re Set Up A Blog, Hurrah! Now What? The heavy lifting is over, now you get to write and tinker on the backend of things. You can play with some of the default themes that are already pre-installed in WordPress, or you can find a blog designer to set up something custom (which I highly recommend). You can find a good designer for around $200 who will also make a customized logo to be used on your social media platforms and all that jazz. Want To Blog Full Time…Or At Least Have a Blast Getting Free Stuff? If you’re interested in earning side-hustle or full time income with your blog, I’m launching a new eCourse with video modules & results-driven printables to help you do just that! Thank you so much for this information! In The Netherlands we have other hostingproviders, but the rest is really really useful for me! Since I’m reading your blog (april of this year) U have been such a inspiration to me! And right know I follow classes to start my on blog. I can’t wait to begin😃 thank you Shannyn, you’re great! I’m glad it was helpful, and thank you for the kind words! Do you know what pricing is going to be like for the course? I’m definitely interested in signing up for it since I admire you and all you’ve accomplished. Just need to figure out how to fit it into the budget! Thank you so much Andrea! I’m not 100% sure yet- I recommend signing up on the launch page (https://www.rockstarblogging.com/) and I’ll be sending more details out as soon as I can! Thank you for making this so easy to comprehend. If I have two blogs I’d like to host, do I have to host them separately or can I do that simultaneously on blue host? Thank you. Hi Rae! That’s a great question! 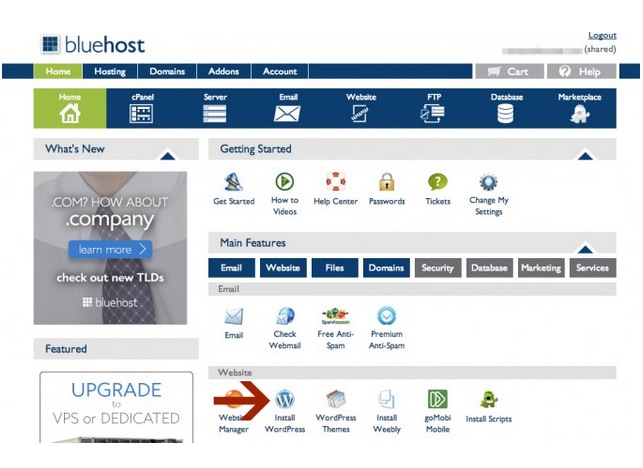 Yes, you can have multiple sites hosted on Bluehost. If you have many domains though, you may need a bigger plan though…or if those sites have a lot of traffic or have been crashing due to bandwidth issues, you may need to upgrade- but you can set up multiple sites via CPanel, or you can email support and they will walk you through setup. You just need to sync up Bluehost with the company that hosts your domain (I’ve used Register.com and Domain.com” to get the DNS records all synched up! Hope that helps! When I’ve had questions, I’ve just contacted the customer care and they’ve helped me set it up! now. You’re so intelligent. You know therefore significantly when it comes to this subject, produced me individually imagine it from a lot of various angles.